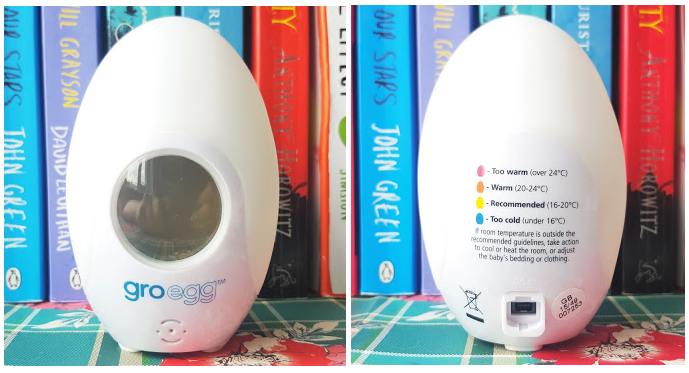 I’m always keeping an eye out for innovative ways to make life with a newborn run that little bit more smoothly and safely, so I was delighted to be sent Gro-egg – the colour changing digital room thermometer* from The Gro Company. 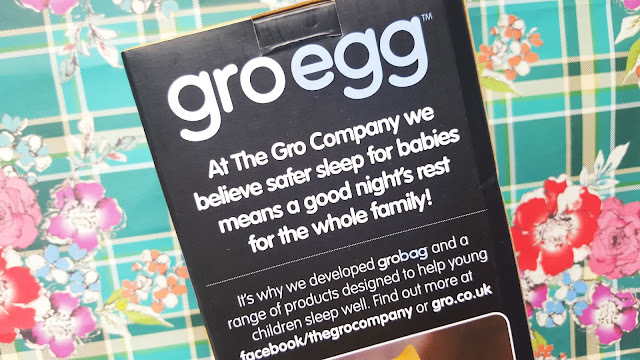 Safety is at the heart of everything that The Gro Company does, and they work in partnership with The Lullaby Trust (formally known as the FSID – Foundation for the Study of Infant Deaths), a leading baby charity to promote safer sleeping environments for babies. Babies who get too hot are at an increased risk of cot death so The Gro Company designed the Gro-egg to help monitor your nursery’s temperature and promote a safer, more comfortable sleeping pattern. The digital thermometer has a back-lit LCD screen and also changes colour depending on the temperature of the room, which gives parents peace of mind as soon as they open the nursery door with minimal disruption to the baby. 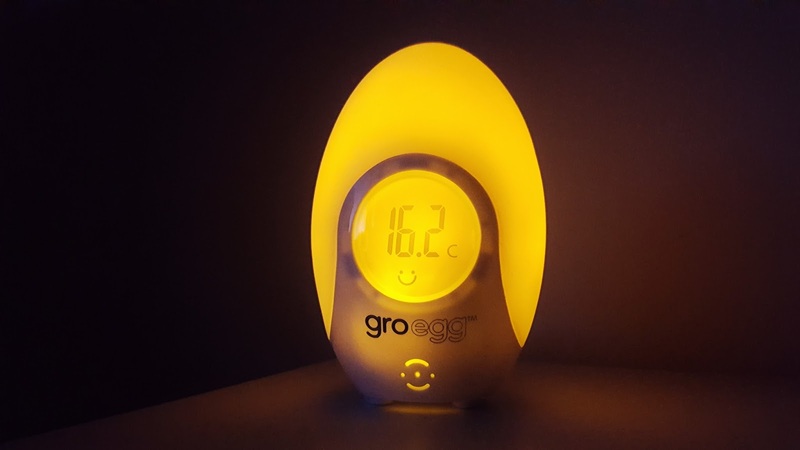 The gentle glow also doubles up as a soothing night light and the Gro-egg itself can be transformed into a friendly bedside character such as a monkey, owl or penguin with the purchase of changeable Gro-egg shells. The Gro-egg contains simple instructions, is UK mains powered and conforms to the highest British and European Standards. It is an affordable way to give parents that little bit more peace of mind. My little girl will be a July baby so I love having the reassurance that I can monitor her room to ensure it doesn’t overheat throughout the night without disturbing her. I also love the simplicity of the design of the Gro-egg, as it doesn’t contain any fiddly settings or buttons. 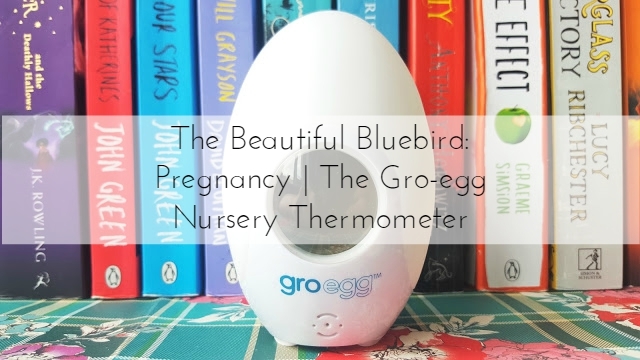 The Gro-egg is part of a complete programme which also includes the Grosnug, a 2-in-1 newborn swaddle (which I will also be introducing to you very soon) and the Grobag. With over 95% of parents in the UK now using baby sleep bags, traditional top sheets and blankets are quickly becoming a thing of the past. To find out more about the Gro revolution visit them online at gro.co.uk. The Gro-egg digital thermometer retails as £21.99 and is available here. "Time for a Beauty Spring Clean"